Magento 2 Custom Order Number extension by Meetanshi allows customizing Magento 2 order numbers by prefixes, suffixes, letters, counter or any random numbers to match your business needs. Customize order, invoices, shipments and credit memo numbers. Reset counters daily, monthly or yearly. Use letters, prefixes, suffixes, date and time variables, letters etc. for order number format. Default Magento order numbering system is not rich enough to match us with business requirements. It generates lengthy order numbers that can reveal critical business information to competitors or confuse customers on the go. 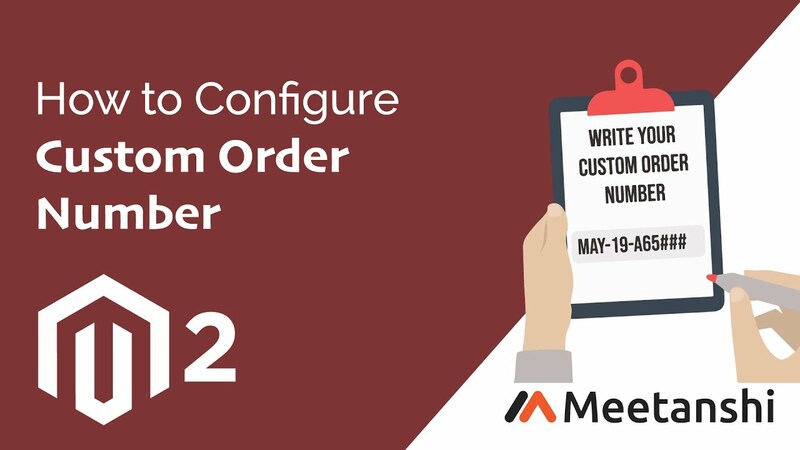 Magento 2 Custom Order Number extension by Meetanshi provides you complete control over order numbering and customize them with any letters, prefixes, suffixes, date/time variables, random numbers or counters as per your specific business needs. Magento 2 Custom Order Number helps to make your store branding better with recognizable order numbers and makes it user-friendly. The extension not only allows customizing order numbers but also helps to customize the sales related data like invoices, shipments, credit memos etc. Attract more visitors with the increased order number to create an impression of huge sales on which they can judge your store's popularity. Option to specify starting number and length of the order number. Easily reset counters on a daily, monthly or yearly basis. Allows me to customize the order number in my store the way I want very easily!